Hot on the heels of his Living Contribution concert DVD is Living Collaboration recorded at the Minnesota Zoological Gardens the evening of July 19, 2008. 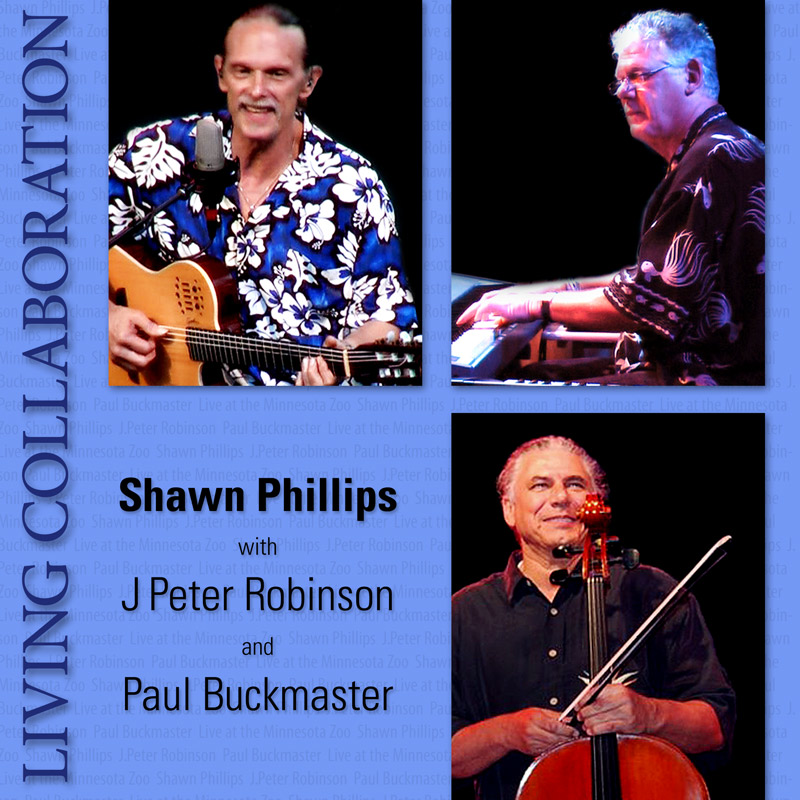 Living Collaboration is a bit different from Living Contribution in that it brings together old band mates Shawn (guitars), J. Peter Robinson (keyboards), and Paul Buckmaster (cello and percussion), plus Sean Feeney (bass guitar). At the time of concert, Shawn was 65 and still exhibiting the same vocal range of his youth, though perhaps not as strong. The concert opens with Shawn performing two acoustic solos: “Coming down Soft and Easy” and “Radio” and then he introduces the band. They step through 16 songs spanning Shawn’s long career, several going back almost 40 years. Included are some of Shawn’s best-known songs: “L’Ballade,” “Lovely Lady,” “Manhole Covered Wagon,” “The Ballad of Casey Deiss,” and the preeminent “Woman” which Shawn wrote for actress Francesca Annis. In between songs, Shawn charms the audience with his storytelling and Texas drawl. It is clear that these men respect one another and truly enjoy playing together. I especially like the format of the DVD as you can opt to view the entire concert or just individual songs. And the best feature is that all of the songs are also available as MP3 files (160 kbs and 320 kbs), something I have longed for from other music DVDs. This DVD is a great place to start exploring this unsung and talented musician’s repertoire.